coral peonies, and the linens are sparkly gold and sequined! We love the love that this wedding is getting online and wanted to share the feature with you! (such a great surprise!) it's also perfect because this weekend's wedding is rounding out our spring peony season! 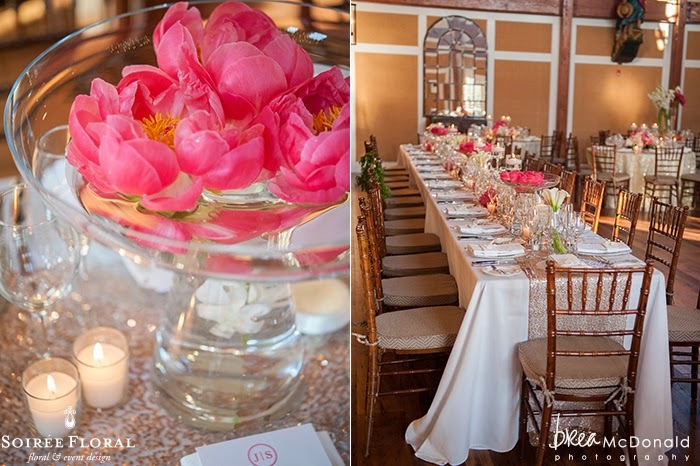 So, head on over to Coastal Bride Blog, sit back and reminisce with us - for the love of peonies!